Czech Republic is slowly becoming incredibly popular in the world tourism market. So far, it has been an underexplored gem, a place with stunning architecture, warm people, and a remarkable countryside. Welcome to the Bohemian heartland, to some of the best monuments and cobbled streets that will make you feel like you’ve walked right into a medieval times movie. Whether it’s Prague or Cesky Krumlov, you have to make sure that you choose the best time to visit Czech Republic. This will make sure that you get the best of what the city offers you. There are some seasons in which the weather in Czech Republic is too good to miss out, but there is something special in every single season. Read on to find out what is a good time for you to visit. The best time to visit Czech Republic is during spring (mid-March to mid May) and fall (September – mid November). This is when the crowds are just right, and the weather is consistently pleasant. The high season in Czech Republic is from June to August. The weather will be quite warm in July and August, and the crowds will also peak around these periods. The winter weather in Czech Republic can get rather cold, and a lot of smaller places of accommodation will shut down for the season, but the Christmas markets are a sight to see during these months. Czech Republic is a unique country, one that is influenced by Western Europe and Slavic traditions at the same time. 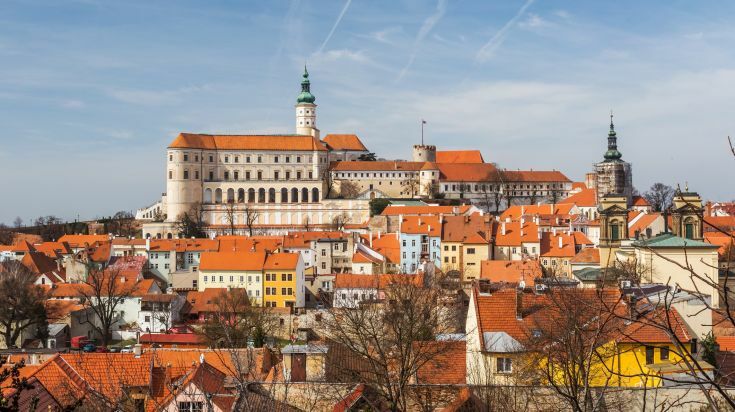 It’s home to the Bohemian Renaissance, the stunning Sudeten Mountains, remarkable medieval architecture and underground bars you will never tire of discovering. Czech Republic has been overshadowed by Germany and Austria for a long time, as a result of which it is still rather under–explored, compared to the rest of Europe. This is a great time to visit the country, for a number of reasons. It is still rather underappreciated, making it cheaper than a lot of other western countries. Enough tourists have discovered it for it to have become a truly global destination as well. So, go forth and explore Czech Republic during this unique period in history – where you can visit the most popular tourist destinations in the world, and discover little known marvels, all at the same time. All you have to do is focus on when to visit Czech Republic. There isn’t a bad time to visit the country, but depending on which month you’re going, you might discover different things. March to May is the ideal time to visit Czech Republic for a number of reasons. True to its temperate European climate, spring is extremely pleasant. There is little to no rainfall, and the days are usually long and sunny, providing enough sunlight for you to go sightseeing for a long time. During the beginning of March, the snow would still be melting in a number of places, so be prepared for some slush. However, by mid–May, the weather warms up and becomes quite pleasant. It won’t be too crowded, so you will get to explore the country in peace. Highlights: Spring is a great time to visit the rolling countryside in Bohemia, where you will be able to see the flowers blossoming, especially from end of March. The weather and the lack of crowds will make Cesky Krumlov particularly attractive during this season. There are a number of exciting events during these months as well – including the Prague Food Festival, International Music Festival, and the Czech Beer Festival (all in Prague, in May). In Pilsen, the Festival of Freedom is celebrated in early May. June to August is summer, and the high tourist season in Czech Republic. This is when most people visit the country, as it is summer in the rest of Europe. The weather starts to get quite hot around the beginning of June, and the days are the longest they are going to be the entire year. This is the busiest season of the year, so you will definitely face a lot of crowds. 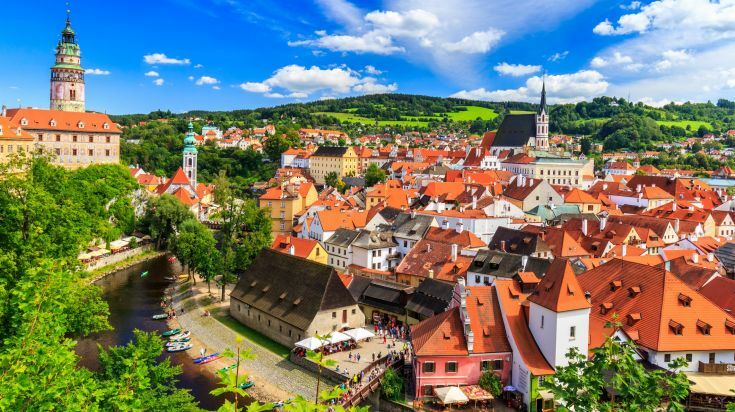 There might be a slight increase in prices for travel and accommodation in popular areas, like Prague and Cesky Krumlov. Book your tickets in advance, so you don’t lose out on the better options! Summers in Czech Republic can get rather humid, as there will be some rains and thunderstorms, so make sure you carry an umbrella or a rain jacket wherever you’re going. Highlights: The museums and the palaces might get rather busy around this time, but this is a good time to visit the smaller cities in Czech Republic, like Olomuoc, Sudetes, Ostrava and Krkonose National Park where the weather will be good, and the crowds will be smaller here. The Smetanova Litomysl Music Festival happens in Litomysl, every June – July, and the stunning Five–Petaled Rose Celebration happens in Cesky Krumlov towards end of June. Karlovy Vary Film Festival and Hradec Kralove Battle Festival also happen in June – July, so if you want an authentic Czech experience, make sure you go to these small towns to experience true Czech culture. 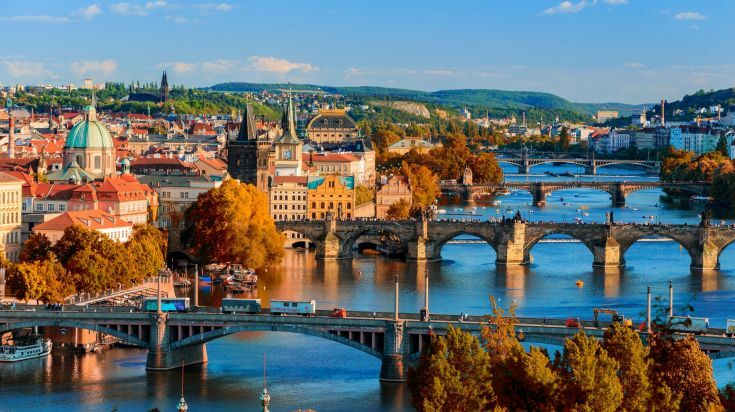 Fall is always a great time to visit European countries, and Prague is no exception. This is when to visit Czech Republic if you want to experience great weather, but don’t want to put up with the excessive crowds. The rains cease around this season, but it does get slightly chilly. You would just need a light jacket, as the nights can get cold, though. Highlights: This is the best time to visit Czech Republic if you want to relax in Bohemia. The spa town of Karlovy Vary will be especially beautiful around this time – the weather in Czech Republic will be great – this is definitely the perfect weather for a dip in the city’s many thermal spas. There are a number of important events during these months – from the Prague Festival, to the Prague Grand Prix, and the Czech Republic Wine Harvest Festival in Malnik, Mikulov or Znojmo (all three events take place in September). Winters in Czech Republic can get rather cold and chilly. There will be some rain and snowfall as well, so be prepared with thick boots and some rain gear as well. The coldest months are between January – February. This is when to visit Czech Republic if you want to be in the country during the low tourist season, with few people, and good discounts. Highlights: This is the low season in the Czech Republic, so you will be able to enjoy great discounts, except for the Christmas holidays, which see a lot of tourists. 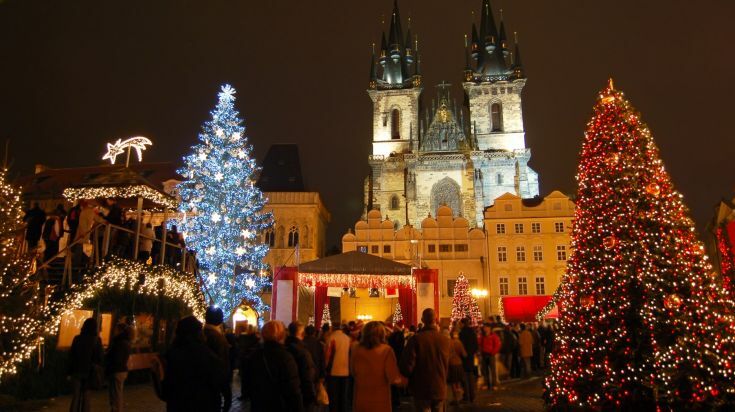 This country has some of the finest Christmas markets in the world – from Prague to Brno and Olomouc, you should not miss the brightly lit stalls and trees, selling local wares and spiced wine. The Bohemian Carnevale, in February, is a good way to explore the region.